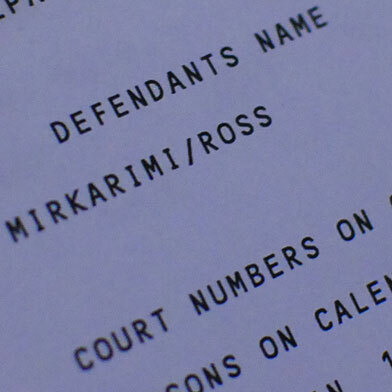 The attorneys for suspended San Francisco Sheriff Ross Mirkarimi this week filed a petition asking to have the city attorney’s office disqualified from handling the official misconduct charges against him. Mayor Ed Lee suspended Mirkarimi, 50, after he pleaded guilty to a misdemeanor false imprisonment charge in connection with a Dec. 31 incident in which he allegedly grabbed the arm of his wife during an argument. Mirkarimi was sentenced on March 19 to three years’ probation and other penalties and was suspended by Lee two days later. The Ethics Commission would then make a recommendation to the Board of Supervisors, which would need the approval of nine of the board’s 11 members to remove Mirkarimi from office. If not, he would be reinstated as sheriff. Mirkarimi’s attorney David Waggoner argued in the filing on Tuesday that the city attorney’s office has a conflict of interest because it is representing Lee in the proceedings while also advising the Ethics Commission. “The city attorney cannot ethically serve as both the prosecutor of this attempt to remove Sheriff Mirkarimi and the lawyer for one of the supposedly neutral fact-finding and decision-making bodies, the Ethics Commission,” Waggoner wrote. Matt Dorsey, a spokesman for City Attorney Dennis Herrera, disagreed. “This is just a procedural dispute about an administrative process,” Dorsey said. “The city attorney’s office has lawyers assigned to every commission in city government. We have ethical screens in place for about two dozen quasi-judicial functions citywide. A hearing on the issue is scheduled for April 19, a day before a judge will consider another petition by Mirkarimi’s attorneys to overturn the sheriff’s suspension. While Mirkarimi is suspended, Vicki Hennessy, a former chief deputy with the department, is serving as interim sheriff.